The Organic House Blend was blended and roasted for you by Centri Coffee. This coffee currently is an Organic certified blend of coffees from Colombia and Brazil. 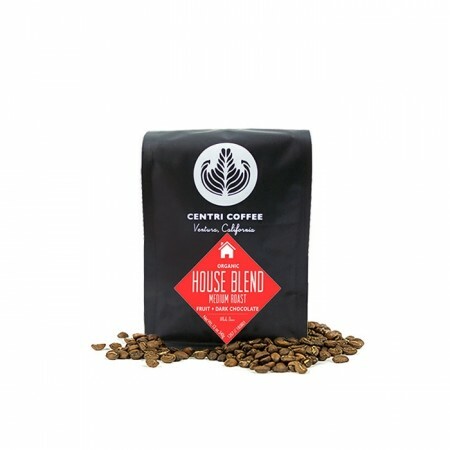 Centri's house blend is comprised of rotating coffees from Indonesia and the Americas, and is designed to deliver a familiar and comforting flavor profile, with notes of dark chocolate and baking spices. This coffee, much like the last one sent, is coming through as watery. I've tried brewing a few different ways and have not found a difference. Perhaps beans that are more oily would be better? Enjoyed, but had some difficulty with getting it ground correctly with our Breville Barista Touch for cappuccinos. Love this coffee! It's so smooth and good chocolate undertones! Would definitely but this again. The beans had a wonderful chocolately aroma. Once brewed hints of carmel came through in the smell. The brew also had some carmel/molasses flavor in addition to a toasty, grain taste. Excellent coffee, very smooth and accessible. No bitterness, no acidity. Did not like..the only one I really disliked all year. Had strange taste. Wasn't in love with one. Finding the ratios was difficult and often resulted in a sour finish. Best coffee yet! Love the acidity and chocolatey flavor profile. Overall just OK, pretty much too sour most of the time, even when making cappuccino (I typically make an espresso and a capp each morning). Would like something a bit oilier and darker than this. Lacked flavor. Kind of flat taste. Not that big a fan of the "texture" and felt the flavor was a bit flat. One of our favorites!! Rich, smooth profile.